In our Meet Your Artisan series, we let the vendors own words shine through. 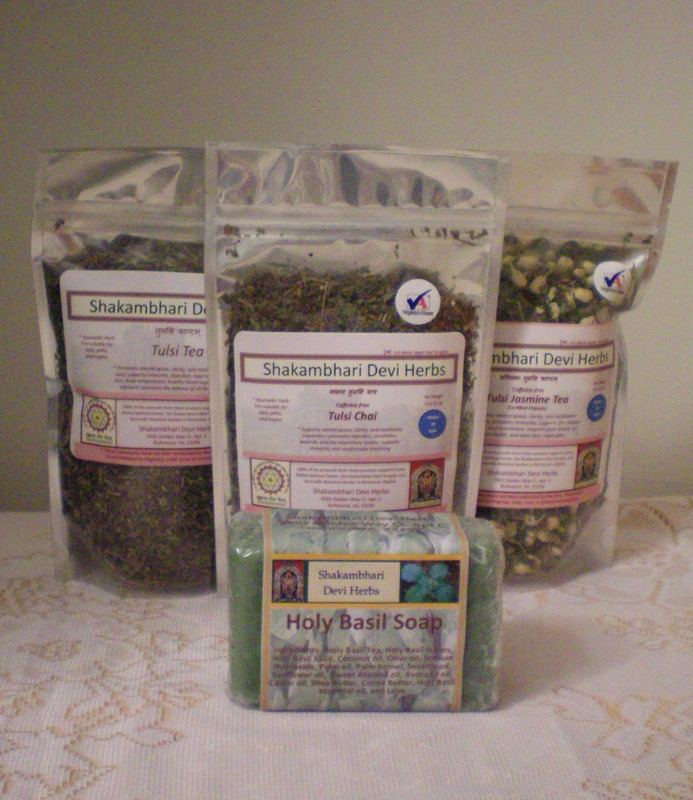 So without further ado, meet Gananatha Giri of Shakambhari Devi Herbs. –When & how did you get started? Years back when the doctors had diagnosed me with kidney failure and said that my condition was terminal, Ayurvedic herbalism saved my life. After that, I felt it was my duty to share the ancient wisdom of Ayurveda for the benefit of the world. After that I spent 5 years deeply immersed in study of Ayurveda and subsequently began a 10-year practice serving clients with a full range of health conditions. Through the years I have seen countless, “incurable” conditions cured with herbs, dietary changes, and prayer. Now I do not practice, but teach others to practice so that my efforts may help even more people. We have introduced our line of herbal products to bring high quality herbal supplements to the people and to help raise awareness about our classes in Ayurvedic herbal medicine and the healing power of herb in general. –What three words would you use to describe your products? healthy – because our teas have been blended according to the 1000 year old tradition herbal medicine tradition of India to support the health of the body. 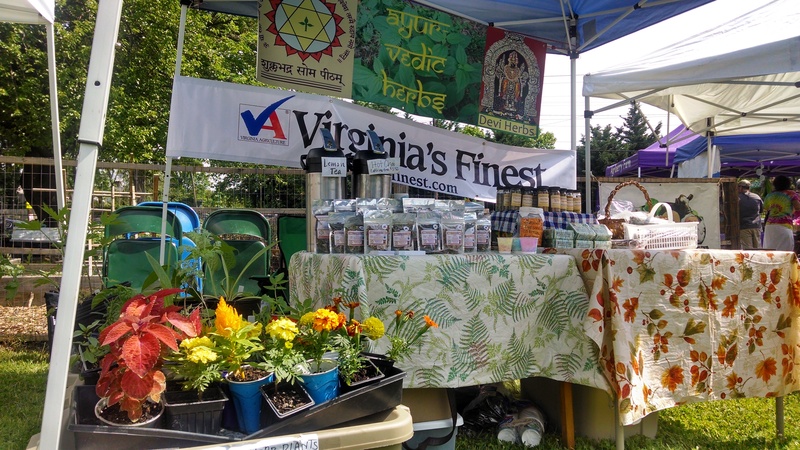 –When you’re not vending at the farmers market, what do you spend your time doing? Praying and meditating. 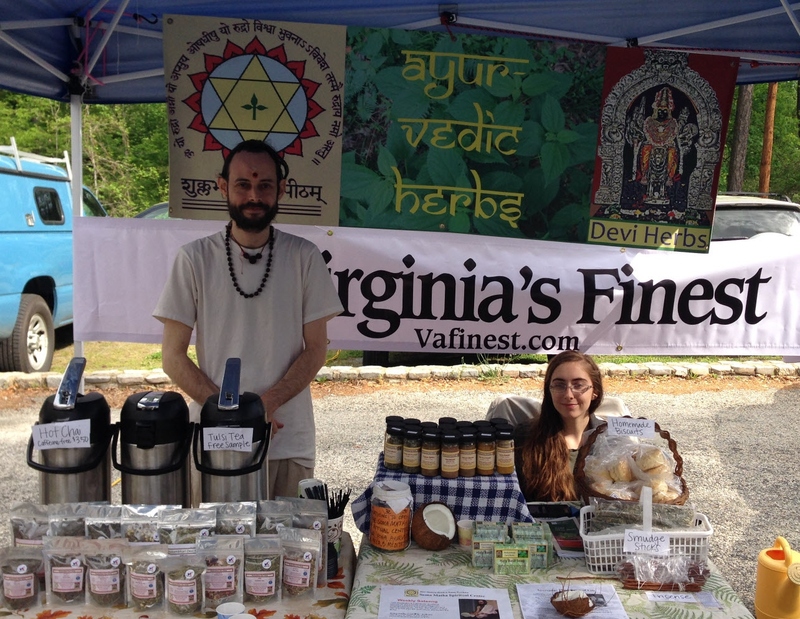 Teaching about Ayurvedic herbal medicine, yoga, mantra, and meditation. In my free time, my idea of fun is gathering herbs and making all sorts of herbal preparations. –What’s something about you or your business that people might find surprising? That we label our herbal products as “safe.” This would be surprising because many people do not realize that many herbal products on the market are potentially very dangerous. When taken with proper knowledge, herbs have great power to heal. When taken without proper knowledge, they are equally powerful to cause harm. Expert knowledge is required when taking herbs to ensure good results. We are proud to offer some of the only herbal products on the market which have been blended to be safe for the public in general. –Describe the process involved with creating one or more of your products? Each of our products has been carefully blended and tested in a process taking many months (or years). From selecting, sourcing, and blending herbs, to providing instructions for using the finished product, we pay the utmost attention to details. We meditate and pray and test each product with students and clients until we are completely satisfied that it is the best it can be.